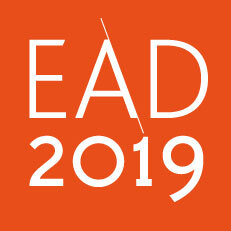 April is here… and with it we’re bringing one of the world’s most influential design conferences to one of the world’s most interesting design cities. 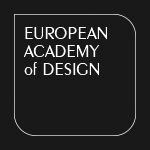 The European Academy of Design (EAD) is coming to Dundee. There is a wonderful final flurry of activity as we prepare to welcome you to our creative City and University. I’m sure that like us, you’re very much looking forward to the conference to shape and share research, as well as to meet friends, old and new. The excitement here in Duncan of Jordanstone College of Art & Design especially is palpable as we add the finishing touches to EAD2019. The programme is now available to help you prepare; be sure to have a look and think about how to make the most of your time and energies. There are eight tracks to pick and mix from, with a complementary series of walks, workshops, posters and research activities to engage in. The ultimate experience is yours to design. Good luck preparing your presentations; enjoy the process, and gift yourself time to develop yourself and teamwork through this aspect of research life. Finally, before we meet in person, stay safe and be sure to pack in your suitcase a little creative mischief, a compass to help walk outside of your comfort zone, and of course, your own personal theatre of aspiration.